Traditionally, Pi Day is 14 March, because that is 3-14 and π~3.14 (except in Indiana where it was 3 for a short time – also mythically in Alabama and Tennessee). That tells you the approximate number as our calendar does not handle irrational numbers well. It also does not work in Europe where they sensibly order their dates hierarchically day-month-year. It also does not describe at all is how we get to that value. 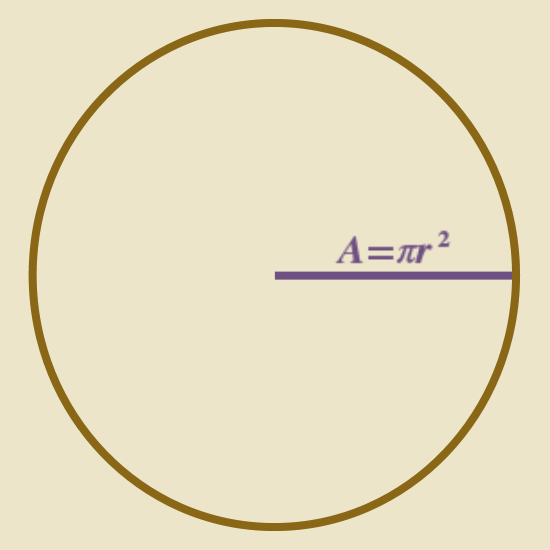 π describes the relationship between the radius of circle (r) and its area (A) or circumference (C): A=πr2 and C=2πr. If we set the length of the year (365.25 days) as the area, the radius of our year circle is 11 days. The 11th day of the year is, not surprisingly, 11 January. I personally prefer to celebrate Pi Day as recognized by the circumference tradition on 27 February (r=58), but to each their own. This entry was posted in Items of Interest and tagged pi, Pi Day. Bookmark the permalink. It is so easy to confuse metric Pi day with Imperial Pi day. I now crave pizza. My memorization work for Pi Day 2013 starts today. My goal is 1000 digits.